As revolting as the revelations about some HSUS officials are, those who recently resigned or were let go did at least bring farmed animals as individuals with feelings and intelligence into mainstream focus for the first time in HSUS history. This is not to excuse anything, but to say that a change in HSUS leadership and workplace conduct may not mean that the organization will now show more progressive leadership on behalf of farmed animals and veganism. I worry it will revert to its more traditional programs and attitudes even if the offensive office behavior is eliminated. As for sexual harassment of women and worse, while women rightly object to being treated as objects whose bodies may be physically assaulted and disrespected by men, this experience, magnified a trillion times over, is precisely what chickens and pigs and cows and all farmed animals, “laboratory” animals, aquatic animals, “entertainment” animals and others endure endlessly at the hands of our species. If we are outraged that certain male employees in our movement have disrespected their female colleagues physically and professionally, we had better stand up and be counted for our nonhuman animal victims for whom interspecies sexual assault and every form of intimate, repulsive violence perpetrated by human beings against them and their bodies is their experience of being alive in the flesh. Veganism is not a superficial “food choice.” It is ethical activism on behalf of the most profoundly, helplessly victimized beings on the planet. 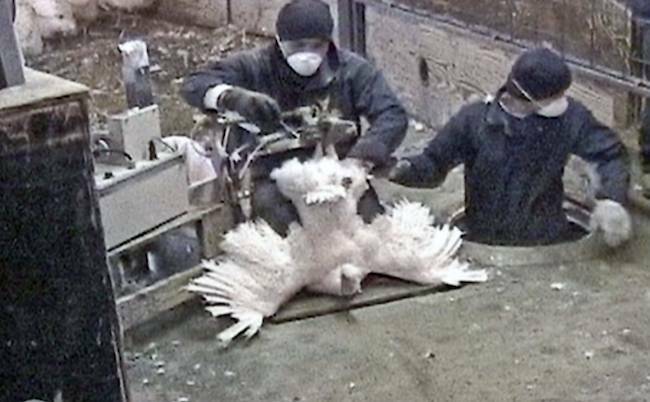 For a comprehensive look at interspecies sexual assault of farmed animals for business and pleasure, please see and share my article Interspecies Sexual Assault: A Moral Perspective.